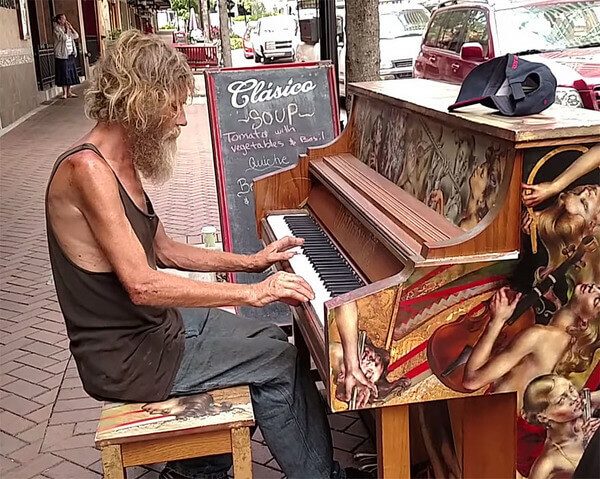 The folks of Sarasota, Florida received quiet a shock when 51-year-old Donald Gould sat down at an outdoor piano and began playing a magical rendition of Styx’s ‘Come Sail Away’. A member of the crowd captured the scene and the video soon went viral. 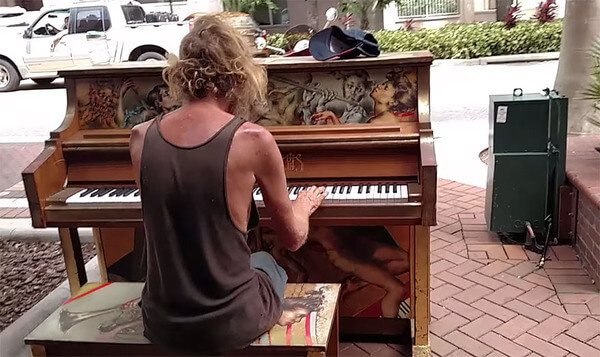 The piano was one of the many placed around the city by Sarasota Keys, a popular music store that wanted to give residents an opportunity to show their creativity. Gould played the clarinet for Marine Corp and had hopes of becoming a music teacher before life took an unexpected turn and Gould ended up losing his wife and his home. The homeless Gould is searching for his 18-year-old son who he has not seen since child services removed the boy from his care after Gould lost his wife and then turned to drugs. 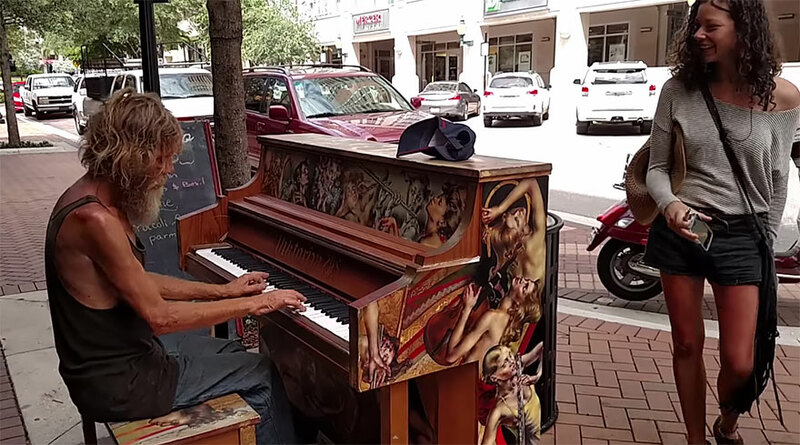 Since the video aired, Gould has received a job offer from a local bar called Surf Shack as a piano player in their upstairs piano bar. The crowd was stunned as Gould plays the first chords of ‘Come Sail Away’. The performance was heartfelt and inspirational. 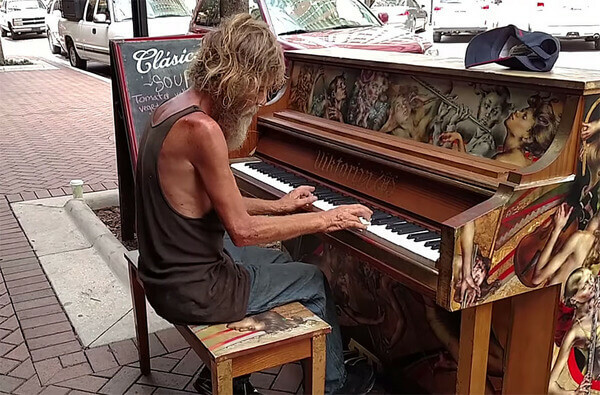 Gould has been homeless since losing his wife and son.